Headphones cables, USB cables, and other cords have a nasty habit of getting tangled up in-between uses. These tangles are almost always a result of us just mashing and twisting the cord up for "storage," which ends up taking several minutes to carefully untangle. 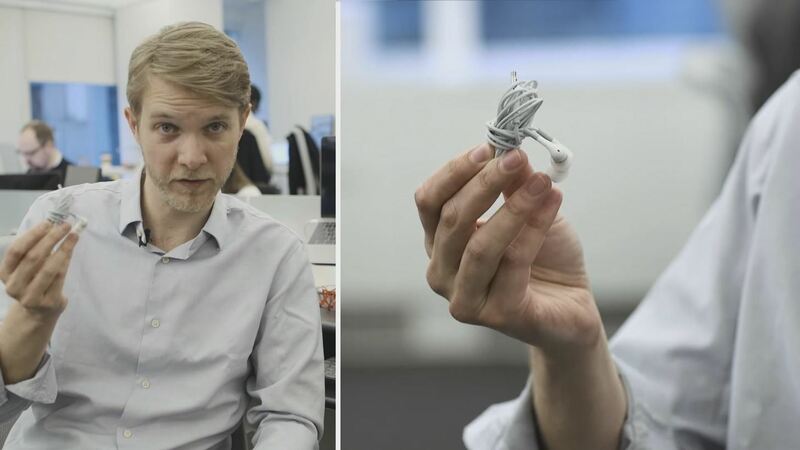 But if you follow along with this video tutorial from The Verge, you should be able to wrap and unwrap your earphones (or any other cable) perfectly in only a matter of seconds. It's not a new trick, but it's definitely one of the best and easiest ways to keep your wired messes in check. All it takes to keep your earbuds, USB cables, power cords, etc. tangle-free is to tie them up the right way. 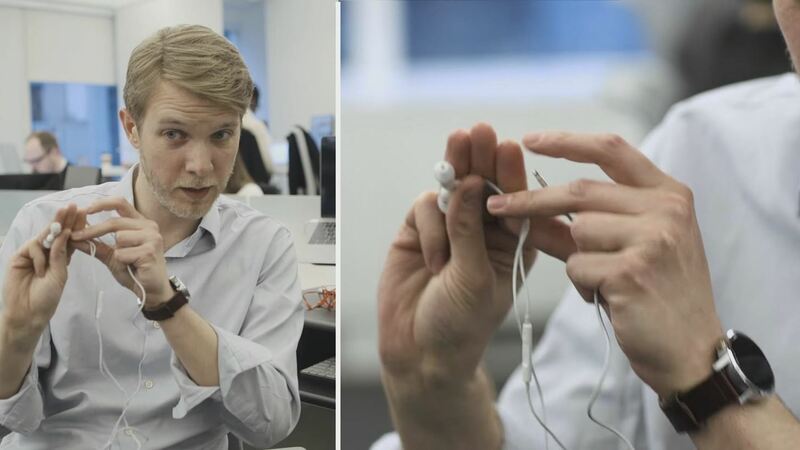 First, you're going to take the bigger end of your cable (the headphones, in this case), and pinch them between three fingers and your thumb. Next, you're going to loosely wrap the cord around your three fingers, until you've got about 8-10" of cord remaining. Once you've done that, you're going to want to pull two of your fingers out of the loop you've created, while keeping one inside. I found that using my middle finger was the easiest, but your preference may vary, and it doesn't make a difference which one you choose. With your finger in the loop, take the remaining cord and start wrapping it crosswise around the loop, making a sort of bow shape. 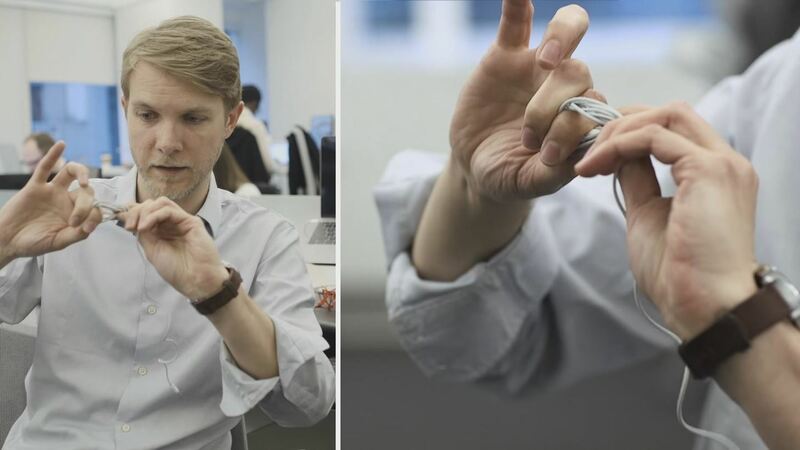 Keep the cord pinched between your finger and your thumb so it doesn't come undone. Make sure to leave a little bit of the cord unwrapped for the last step. Once your bow is made, take that last length of uncoiled cord, and tuck into the hole that you made with your finger. Tug on it to tighten it up, and you're done. 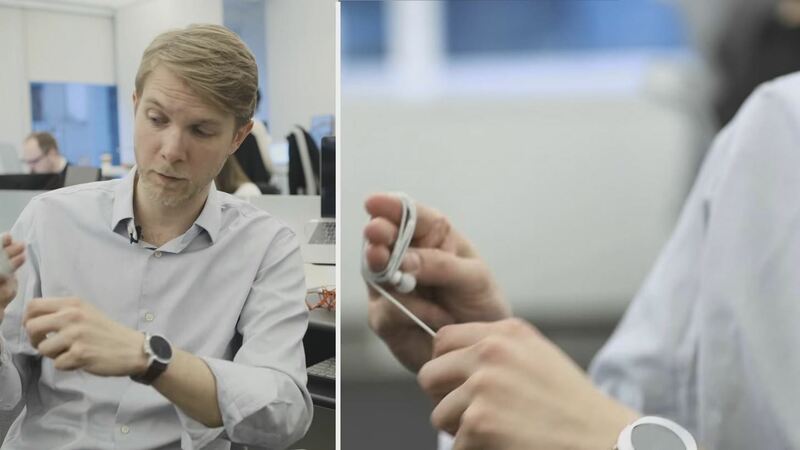 A neatly wrapped headphone cable that you can uncoil in seconds. When you're ready to unwrap your headphones, all you have to do is slip the smaller end of your cord back through the hole you made, then hold that side in one hand and the larger (headphones, in this case) side in the other hand, and pull them apart from each other. That's all there is to it. You should be able to use this method with any smaller-sized cable. 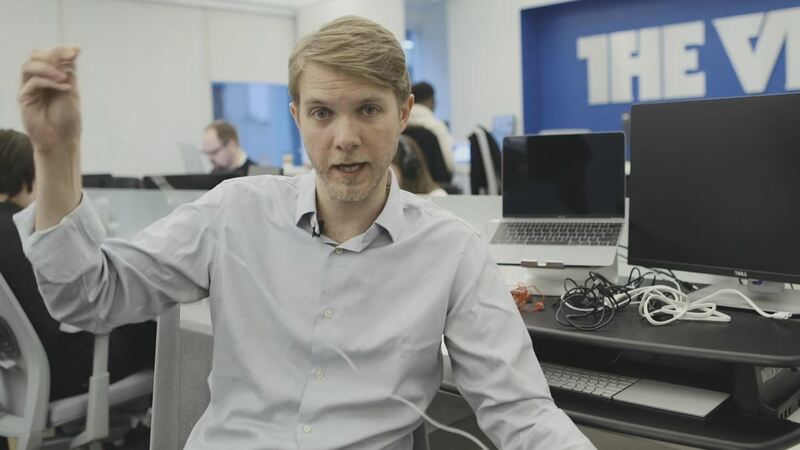 For thicker cables, you might need to use four fingers instead of three when you make the initial wrap. 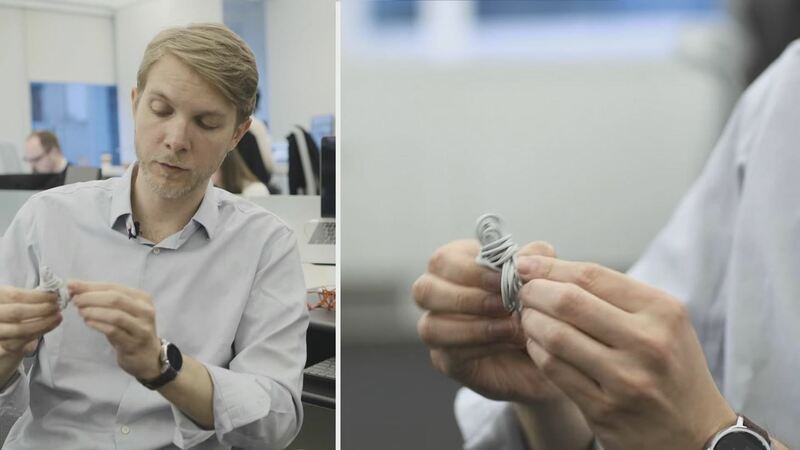 So, give it a try, and never worry about unraveling a headphone cable tumbleweed again.